Old Fashioned Oak Wall Telephone reproduction from the 1920's with crank. 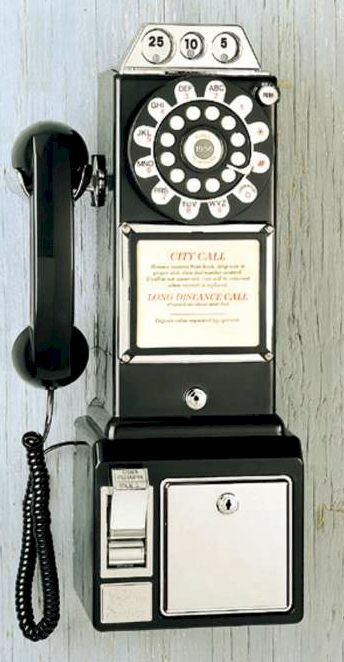 Antique Kitchen telephones in reproduction Vintage style. The Crosley CR92 CR91 Replica / Reproduction phones. Old Fashioned Oak Wall Telephone reproduction from the 1920's with crank. 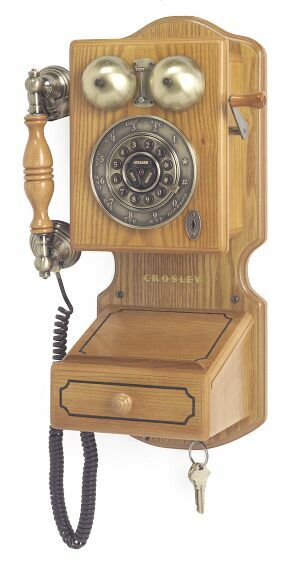 Crosley CR92 CR91 Antique Kitchen telephones in reproduction Vintage style. The Crosley CR92 CR91 Replica / Reproduction phones. All the Crosley reproduction phones show below are modern phones on the inside and will work with your North American home phone system.